China Property Management, China Property Managers, China, TX Property Management Companies. Rental Services by Creel Investments is a full service property management company that has been in business managing rental property since 1995. Darren Creel, a licensed Real Estate Broker, has owned property himself since 1993 so he understands your goals when it comes to investing and manages your property the way he would want his own property managed. 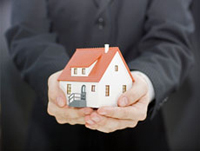 Our highest priority is to see you (the owner) with the successful investment property you desire. We want to increase your cash flow as well as increase the net value of your property. We treat your property like it's our own; from advertising to maintenance and legal issues. We are committed to being the best in our industry and providing quality services. Rental Services by Creel Investments employs a full time Maintenance Department to maintain your rental property. Our goal is to keep any maintenance or repair cost that we perform for our clients at at a minimum. We also offer the service of coordinating larger jobs that may be out of the scope of our maintenance team with sub contractors. Rental Services by Creel Investments is an established locally owned company. With 20 years of experience, our highly qualified team of professionals will manage your property with sound principles, based on integrity, honesty and reliability while maximizing your NOI. We can offer you the management expertise that will allow you the opportunity to focus on your other priorities. We have to comply with federal, state, and local laws. Main class discriminated against is disability, race is second. Always ask the same questions to each person to avoid linguistic profiling (how they sound-accent) or name profiling (based on their name). China was first known as "China Grove", for a water stop for the Texas and New Orleans Railroad that sat amidst a grove of chinaberry trees. In the 1860s a small community grew around the water stop, and another a few miles away named Nashland. A post office with the name "China" was established there in 1893. When fire destroyed the China Grove depot in 1906, the railroad rebuilt in the larger Nashland area, but retained the established name "China" as the name of the depot. The Nashland post office changed its name to China shortly afterward. It wasn't until 1971 that the (now-merged) community voted to incorporate as the city of China, Texas. During World War II, a small branch camp was built for German prisoners of war who were detailed to China from the larger Camp Huntsville in Walker County, Texas (now a part of Sam Houston State University). These prisoners helped to maintain rice fields while local farmers were serving in the military. The chinaberry trees that gave the community its name are rare in the area today. In fact, two trees that were transplanted to the front lawn of the city's civic complex in the mid 1990s are some of the only remaining examples. However, several local China and Meeker natives have taken to cultivating and nurturing new and transplanted chinaberry trees.